There are 10 Medicare Supplement plans in Oklahoma. Letters, Plan A-N, designates the plans. The benefits offered for a specific Medigap plan must be the same from company to company. This allows consumers to compare Medicare Supplement plans in Oklahoma by rates without comparing the outline of coverage for each plan. If you have already signed up for Medicare Part A and Part B, otherwise referred to as Original Medicare, you are qualified to sign up for a Medicare Supplement plan in Oklahoma. Your Medigap plan will cover many if not all of the out-of-pocket expenses created by the Original Medicare coverage. The five largest counties in Oklahoma include Oklahoma County, Tulsa County, Cleveland County, Canadian County and Comanche County. This state was one of the first to create standardized guidelines for the enrollment of disabled Medicare recipients into Medicare Supplement plans. In 2007, 16 percent of Oklahoma residents enrolled in Medicare, and about 18 percent of those enrollees were eligible due to disability. Notice that these Medicare statistics reflect a two percent reduction in the number of Medicare recipients in Oklahoma from 2007 to 2015. You can apply for a Medicare Supplement plan at any time, but paying careful attention to your timing could save you a lot of money in the future. In fact, if you wait too long to apply, you could eliminate your chance of securing a Medicare Supplement plan at all. Let’s take a closer look at your enrollment options so that you don’t miss your best opportunity. Every Medicare recipient is entitled to guaranteed-enrollment rights. This means that the insurance companies are legally required to enroll you in any Medicare Supplement plan in Oklahoma regardless of your medical history or pre-existing conditions. They also cannot increase your rate based on your medical condition, so this is your chance to secure reasonable insurance rates even if your health is less than perfect. Guaranteed-enrollment rights for Medicare Supplement plans begins within six months of the date that you enroll in Medicare Part B. This period always lasts for six months regardless of when you sign up for Part B. Loss of employer health insurance or group coverage through an organization. Your current insurance provider lost their certification to offer your plan or went bankrupt. Moved outside of the area of the network associated with your plan. Some additional situations may qualify you for special guaranteed enrollment. In most cases, you will only have 63 days to take advantage of this opportunity. How Are Rates Calculated For Medicare Supplement Plans in Oklahoma? There are three ways that providers of Medicare Supplement plans may choose to calculate Medicare Supplement rates. The State of Oklahoma allows each company to determine which method they want to use, and that is partially why you may notice such a large gap between price quotes when you compare Medigap rates online. Let’s take a quick look at the three methods that some companies may use when calculating rates for Medicare Supplement plans in Oklahoma. – Rates are determined for all participants signed up for a specific plan regardless of age. – Your age at the time that you apply for your policy determines your premium. – As you age your rate will increase. 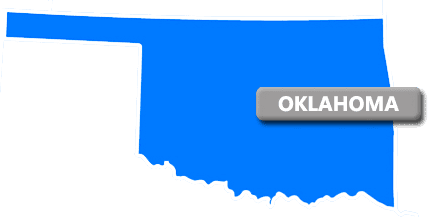 Can I Use My Oklahoma Medicare Supplement Plan In Other States? Medicare Supplement plans have no restrictions on which doctors you can see or which hospitals you can visit. Any medical provider in the United States that accepts Medicare is an option for your medical care. This gives you the freedom to travel to different states if the medical care available in your state fails to meet your needs. Some Medigap plans even receive coverage for emergency care when traveling abroad. Since Medicare Supplement plans are standardized, you can usually move from one state to another while maintaining the same Medigap plan. Zip codes are a primary factor in calculating rates. So, you can expect a change in your monthly premium once you notify the insurance company that you are moving. There are 10 standardized Medicare Supplement plans available today, and they are each designed to meet different medical and budgeting needs. What works well for you may not work at all for someone else, so selecting Medigap coverage in OK is a personal journey. The most popular Medicare Supplement plan throughout the country is Plan F. This is the most comprehensive plan, and it is available in a high-deductible option. Many seniors are also opting to apply for Plan G or Plan N. They both offer similar benefits to Plan F. However, Plan G doesn’t cover your Medicare Part B deductible. Plan N doesn’t cover your Part B deductible or excess charges. If you’re still a little confused about how all of this works, we’re here to help. You can request quotes for Medicare Supplement plans using the form on this page. Some feel more comfortable talking to an experienced Medicare Specialist, so feel free to call us. We can answer your questions while walking you through the process. We can even help you apply for coverage over the phone. The following links will take you to some valuable Medicare resources that may save you a bit of money.